Home A Writer's Life Merry Giftmas! Today marks the beginning of a week-long blog tour I’m participating in. 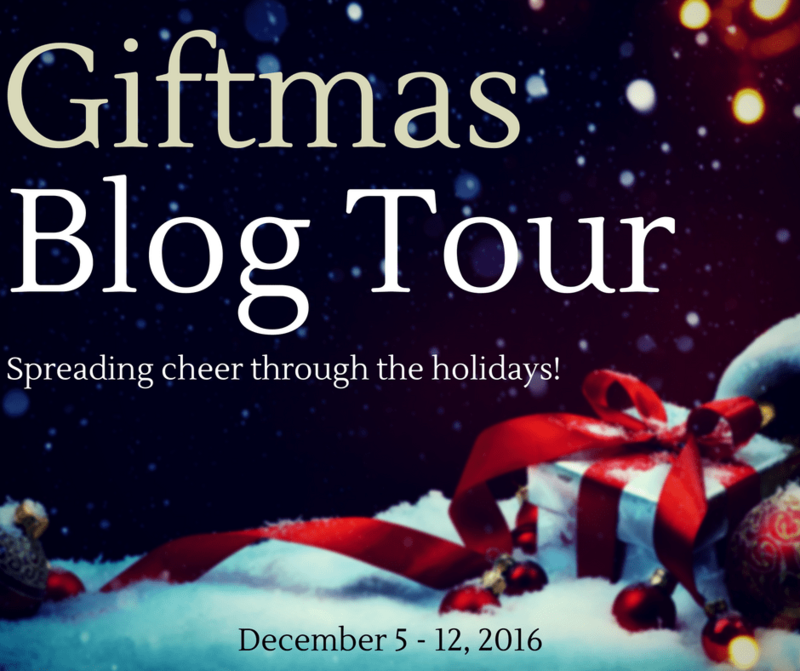 The Giftmas Blog Tour is a bunch of people coming together to raise money for the Edmonton Food Bank in Edmonton, Alberta, Canada. I wanted to start Giftmas off by talking about food banks in general and why I’m passionate about them in particular. When I was about nine (my memory of when it was exactly), my dad lost his job. The company closed, sending some of the jobs to Indianapolis and some of the jobs to Cincinnati, and my dad’s job just disappeared. Thank God he was hired to help empty the offices and warehouse of their distribution center, because that meant that instead of being unemployed in October, he was employed almost through the end of the year. It also meant he had the opportunity to scavenge for Christmas presents. Yes, my Christmas that year was literally from a Dumpster. And you know what? It was honestly one of the best Christmases in my forty years of life. Dad didn’t have much money to provide gifts, but he put a lot of thought and effort into what he gave us. I got my first tape player that year (remember those? The grandfather of MP3 players? )–the battery compartment didn’t have a door, so whoever’d used it in their cubicle apparently decided it wasn’t worth taking with them. Dad took it out of the trash, used electrical tape to hold the batteries in, and suddenly I could listen to music in my room instead of on the stereo in the living room! Because I’ve always loved office supplies, even at that young age, Dad salvaged a couple of 3-ring binders from the trash, cut out pictures of horses and whales (my two big passions at that time) from National Geographic, and used clear contact paper to make pretty covers for the binders. I still have those binders. I still love those binders. He found restaurant order tickets (he worked for a food distributor) and decided they would go well with the cardboard play kitchen someone was giving me for Christmas. That year, we got a lot of help from our church’s food pantry. Dad also ended up with some of the salvage from work. (We didn’t have to buy toilet paper for months.) For years I slept on a loft bed constructed of bright yellow industrial rack (even took that thing to college with me). And we still have the cafeteria chairs he pulled out of the Dumpster. You never know what’s going to happen in life, and for far too many people, food pantries can literally mean the difference between life and death. I honestly don’t know how Dad paid the mortgage while he was unemployed, but I do know that he didn’t have to spend as much money on groceries during that time, which might be the only reason we didn’t end up homeless or living with my grandparents. When Dad got a better job, he started giving back. It’s important to me to do that, too. No matter how little I have, I always remind myself that there are others who have less than I do. So for the next seven days, ten bloggers will be sharing memories of Christmas food (and recipes!) and sharing the support link for the Edmonton Food Bank. 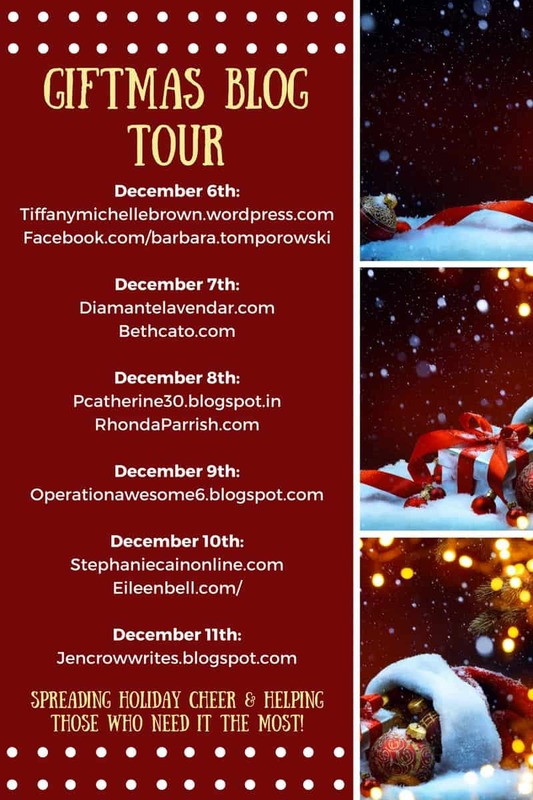 Be sure to check out blog posts by Tiffany, Kara at Operation Awesome, Diamante, Jennifer, Beth, Eileen, Pamela, Barbara, and Giftmas organizer Rhonda Parrish! Rhonda is also hosting a giveaway, and you’ll see details below the Giftmas post schedule. Check it out! December 12th — Final day for donations!